Although net neutrality proponents eagerly embraced Netflix’s cause and Hastings’ pubic advocacy they worked to color the issue as essentially a commercial dispute between different types of service providers, which, paradoxically, is actually an argument against what the FCC did. Disputes between buyers and sellers are not really the FCC’s bailiwick; that’s more a matter for the Federal Trade Commission and the antitrust division of the Justice Department. It also, ironically, helped set the table for what is shaping up to be another pitched battle over net neutrality, this time over a new FCC chairman’s plan to turn the issue into an explicitly and exclusively commercial matter. Chairman Aji Pai, who strongly opposed the FCC’s 2015 order while in the minority under previous chairman Tom Wheeler, is moving quickly to try to settle the score. His plan, basically, is to vacate the current rules, then ask the ISPs nicely to commit to certain net neutrality “principles” in their terms of service and turn over resolution of any commercial disputes or consumer complaints that arise to the FTC. That will require reversing his predecessor’s decision to reclassify ISPs as “common carriers” under Title II of the Communications Act. Under the so-called “common carrier exemption” in the Federal Trade Commission Act, the FTC has no legal authority over services classified as common carriers, like telephone networks, and to give it jurisdiction Pai will have to un-reclassify ISPs. But the new chairman could find himself looking through the other end of the net neutrality paradox this time. 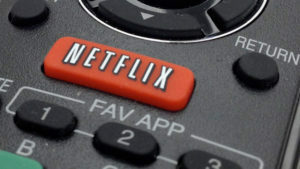 While he may view the issue as fundamentally a commercial matter that the government should largely stay out of, the commercial and strategic interests now at stake in the streaming economy are orders of magnitude greater than the last time around, and their resistance to any change from the current rules is likely to reflect that increase. Consider the members of the Internet Association, the Washington, DC, lobbying group formed in 2012 by Facebook, Amazon, Google and eBay. Since the current rules went into effect Google’s YouTube has launched a paid music streaming service, YouTube Red, and this month began rolling out an over-the-top pay-TV service, YouTube TV, that competes directly with the cable TV services operated by the largest ISPs. Amazon has emerged as a formidable competitor to Netflix in the subscription VOD business and has launched a paid music streaming service. That paid streaming service is tightly connected strategically with Amazon’s Echo voice-activated speaker, which is a pillar of the retailer’s in-home strategy. Amazon also signaled its strong interest in live video streaming earlier this month by spending $50 million for rights to the NFL’s Thursday Night Football franchise. Facebook has made live video streaming the centerpiece of its strategy to grab a chunk of the $70 billion spent annually in the U.S. on TV advertising, some of which is currently spent with ISP owned pay-TV services. Twitter, another member of the Internet Association, is also placing big bets on live video. IA continues its vigorous support of the FCC’s OI Order, which is a vital component of the free and open internet. The internet industry is uniform in its belief that net neutrality preserves the consumer experience, competition, and innovation online. In other words, existing net neutrality rules should be enforced and kept intact. New players like Roku are also thought to be eyeing the live-streaming business. Last month Roku hired a team of lobbyists in Washington specifically to focus on net neutrality. Major media companies have also seen their direct stakes in the streaming economy grow since the current net neutrality rules were implemented. According to the RIAA, streaming now accounts for more than half the music industry’s revenue and that share is growing rapidly. The major record companies are equity investors in Spotify, the leading streaming service, which is currently valued at $8.5 billion and is preparing to go public. Likewise, Fox, ABC and NBC own Hulu, the subscription VOD service that is also gearing up to launch a virtual pay-TV service (NBC is barred from having a direct operational role in Hulu under the terms of its merger with Comcast). Those examples just skim the surface of what the streaming economy has become over the past three years premised in part, at least implicitly, on the current net neutrality rules. Undoing those rules at this point, paradoxically, could represent an even greater intervention into the commercial arrangements of the internet by the FCC than implementing them in the first place.